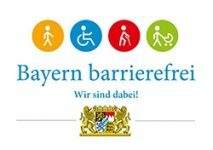 The PLAYMOBIL FunPark was awarded by the Bavarian Ministry of Labor, Social Affairs, Family and Integration for various special features regarding accessibility. 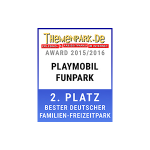 The PLAYMOBIL-FunPark was chosen as one of the top 18 most beautiful leisure parks in Germany by Check24. 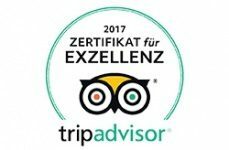 This year the PLAYMOBIL-FunPark was voted second place in the best leisure parks in Germany, based on visitor ratings from Tripadvisor. Many fans have reviewed the FunPark again this year. 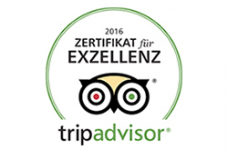 We are very happy about this award! 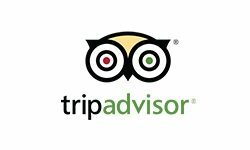 Also on Tripadvisor many fans have voted with "excellent" for the FunPark! 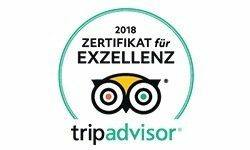 We are very happy about that! The PLAYMOBIL FunPark in Zirndorf attracts families with children from near and far and ranks among the top travel destinations in Middle Franconia. 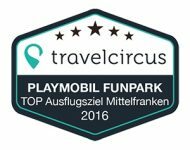 PLAYMOBIL Fun Park was also selected as one of the TOP destinations in Bavaria on www.familychecks.de in 2015!